Figleaves Curve Modal Cami Top is rated 5.0 out of 5 by 1. Introducing the luxury modal range from Figleaves Curve. 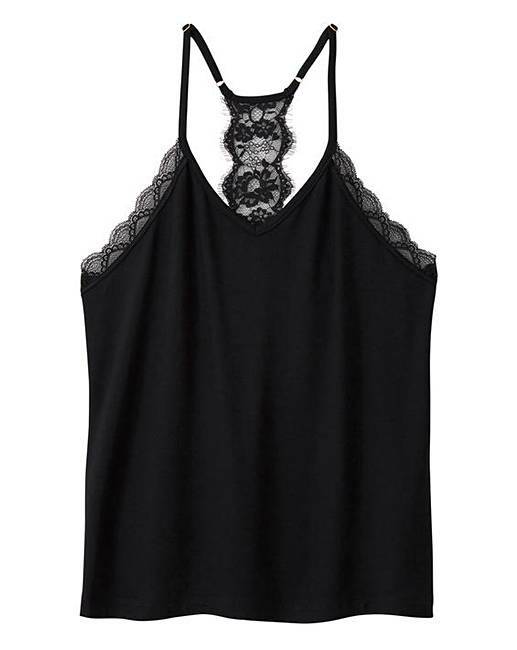 This super-soft lace trim cami top features adjusters to the back & a v-neckline. The perfect cami top to pair back with the lace trim modal shorts.